Cinco de Mayo is an annual commemoration of the Battle of Puebla in which 4,000 Mexican soldiers, many of them farmers, defeated an army of 6,000 professional French fighters, forcing France to leave Mexico. In Mexico, the day is celebrated with parades, colorful costumes and vivid reenactments. To dress appropriately for the holiday, follow the customs and norms practiced in Mexico for Cinco de Mayo. Throughout parts of Mexico and the southwestern United States, on Cinco de Mayo, participants reenact the decisive Battle of Puebla. The town of Puebla in central Mexico mounts a full-scale reenactment with some people taking on the role of the French army and others portraying the heroic Mexicans. The scene culminates in a parade through the streets of the city in which mariachi bands perform songs. Like the members of the band, men typically dress as “charros” -- Mexican cowboys -- in an outfit known as a “charro.” This outfit features a jacket, black pants, a white shirt and boots. Often the pants are outfitted with silver buttons. Women dress in the traditional colors of Mexico, with long skirts and long-sleeved shirts trimmed in red, green and white. In Mexico, it’s become customary on Cinco de Mayo for people to dress in the traditional garb of the state in which they live. 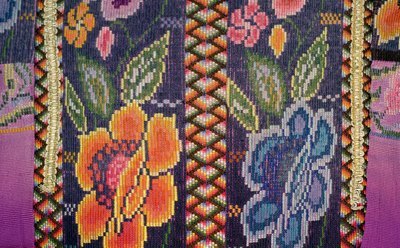 For example, in the southwestern state of Jalisco, women wear a style of dress specific to that state laced with varying shades of magenta, blue and yellow and adorned with bright ribbons that line the hem of the dress. 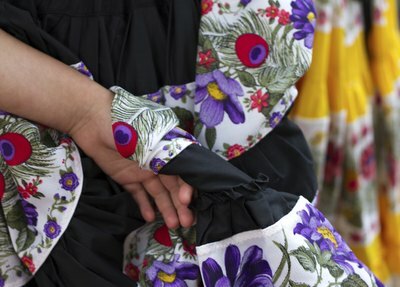 In the coastal state of Veracruz, the traditional fashion is a white dress matched with a white shawl, offset with a black apron rimmed with flowers. For people who are searching for simple, yet classy attire, embroidered clothing offers an understated and elegant look. Embroidered skirts, tunics and pants come in designs both colorful and monochrome with patterns for every taste. To accompany the ensemble, a celebrant may wear a wide-brimmed hat. 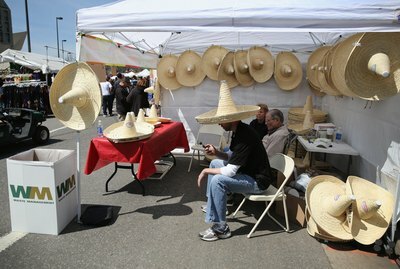 In Mexico and other Spanish-speaking countries, the word “sombrero” denotes any hat with a wide brim. Traditional Mexican sombreros look more like cowboy hats than the large, floppy straw hat commonly worn on Cinco de Mayo in America. Parents who want to incorporate a lesson in history into the proceedings may encourage their children to dress up as a celebrated historical figure such as Gen. Ignazio Zaragoza, who led the ragtag army of Mexicans to victory against the French. Zaragoza wore an open jacket and boots that covered the entire length of the lower leg. Add a sword and a pair of large glasses to complete your transformation into the famously bespectacled general. The more daring may follow the example of some Mexicans in Puebla who annually dress up like notorious figures such as Count Dubois de Saligny or Gen. Charles Latrille de Lorencez.